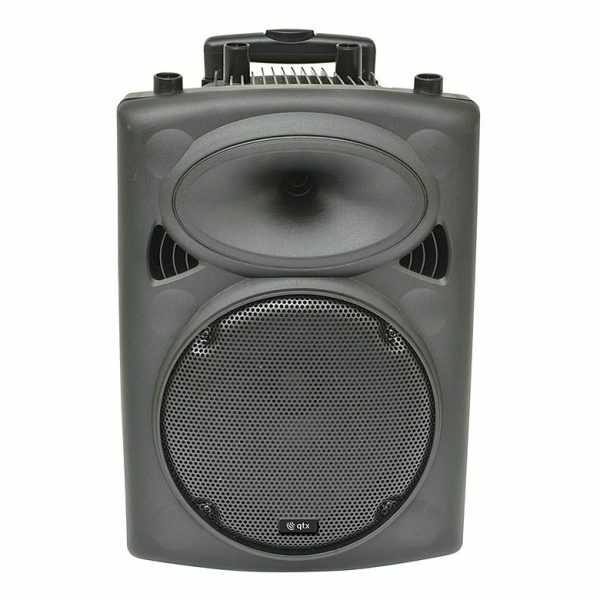 Overall a fantastic value for money sound system! 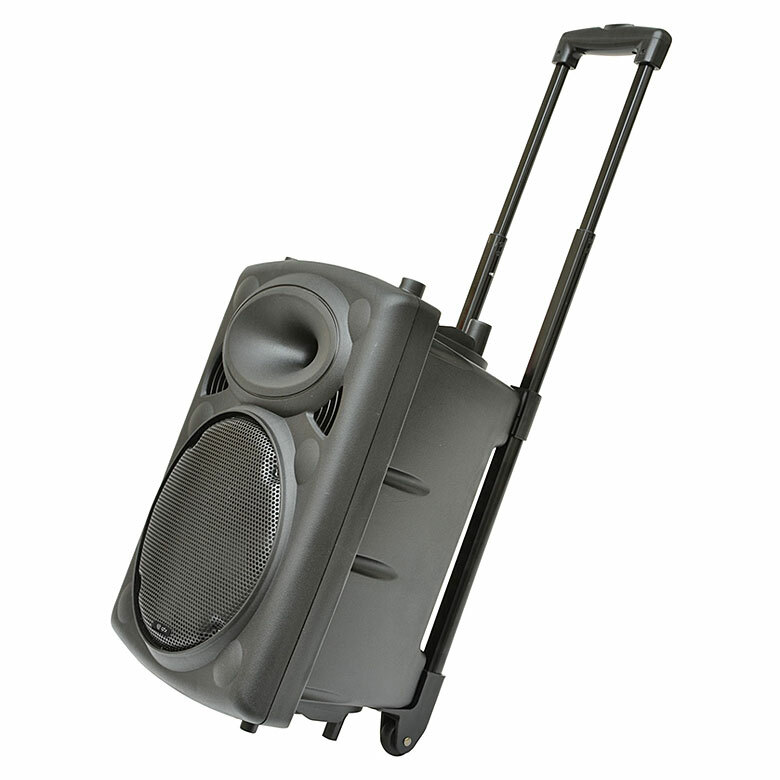 A fantastic self-contained portable PA system which is ideal for large presentations, meetings, demonstrations, educational use or dance studios. 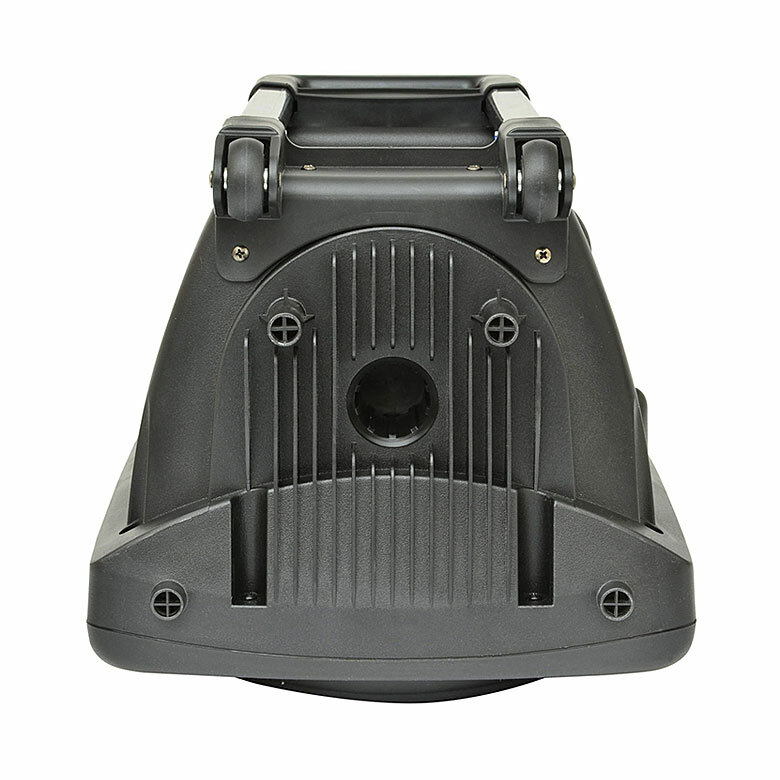 Includes a built-in amplifier which operates from mains or internal re-chargeable battery. 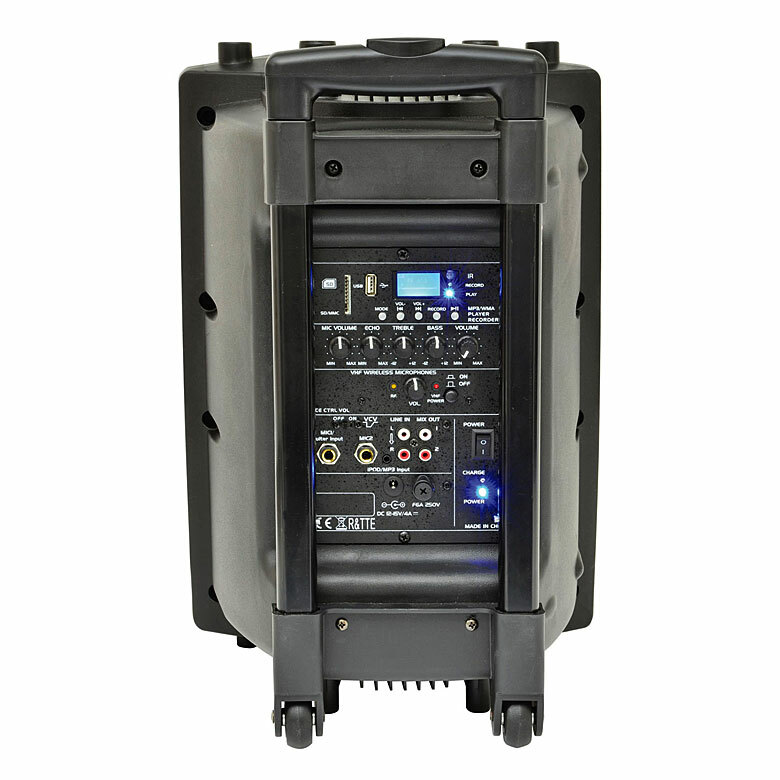 This powers a main speaker driver and compression driven horn unit which ensures the systems have a great bass response along with nice clear treble. A VHF headset microphone with bodypack transmitter is included with the receiver built into the mixer/amp section at the rear along with 2 further microphone inputs. Also included is an input for iPod, iPad, iPhone, CD, MP3 or pretty much anything else that you’d like to plug in and play through the system. An integral USB/SD/FM media player with record function is also built-in! A retractable trolley handle and rear wheels provide easy portability. A Brilliant, value for money, multi-purpose sound system allowing for indoor or outdoor use by mains or mains free! Please note: Images show system from front, back and side. It’s the same system and it’s a single all-in-one unit.